John Moynihan's new book is a self-help guide for Baby Boomers. It's non-fiction, and geared not for the Greatest Generation but for the Me Generation. The Boomers are 78 million people strong, all aging not so gracefully, with many in need of hip replacements and rotator cuff surgery. The author lays out in detail how to survive and thrive in this slippery slope world. He describes in detail the Fountain of Youth he found - the magic bullet, so to speak - along with great practical advice for body and mind for Boomers everywhere. 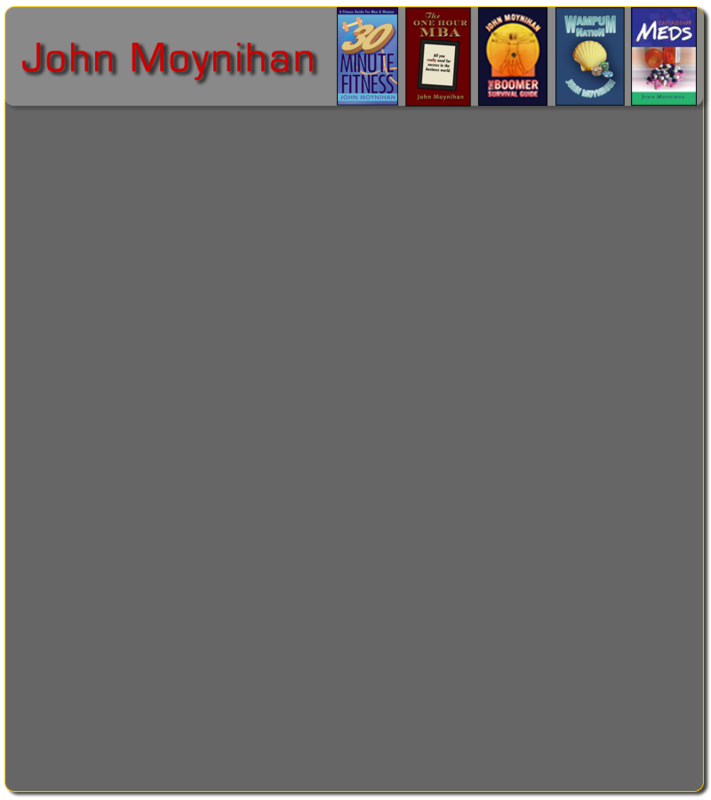 A short and focused book, John Moynihan's advice runs the gamut from how to stay healthy to how to park in Wal Mart without denting your VW Beetle or Prius. You can easily read it all in just one sitting. "This book is fun to read and contains quite a lot of useful tips. Its strength is the distinctive voice of the author, John Moynihan, who readers will enjoy following. He strikes a good balance of humor, wisdom, and advice in this short narrative." - Clara Silverstein, author of The Boston Chef's Table.